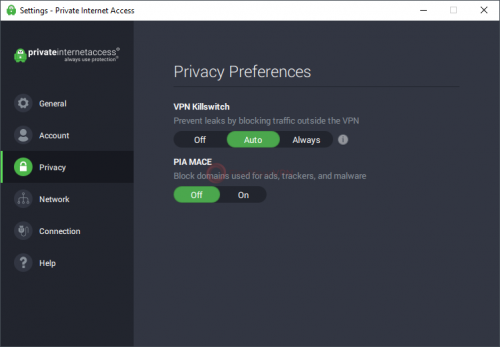 Private Internet Access, as its name clearly states, is a VPN solution designed to help you anonymize your Internet connection by assigning you a different online identity. 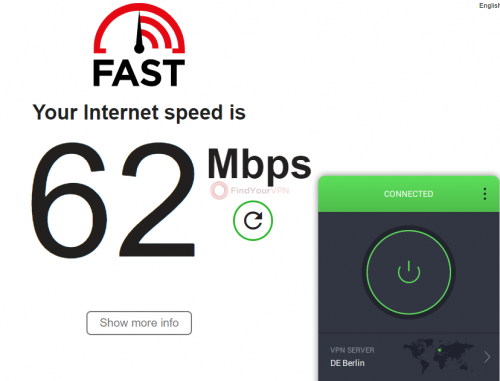 This VPN provider has caught our attention and is the next in line for our thorough testing procedures and review, so join us and discover whether it will live up to our expectations (and its highly-suggestive name) or not. The team behind the Private Internet Access VPN project is London Trust Media, Inc. and initially released the service in August 2009. The CEO of Private Internet Access as well as its parent company (London Trust Media, Inc.) is Ted Kim, while the founder is Andrew Lee. In 2018, Mark Karpelès, which was the CEO for Mt. Gox, was named chief technology officer of London Trust Media. This company is also known for the fact that they own the popular Freenode and Snoonet IRC networks. Andrew Lee has a background in the Bitcoin world, given that he was amongst the original founders of Mt. Gox, but, according to various publications, he is a longtime online privacy enthusiast. If you look them up on the search engine of your choice, chances are you’ll find a discussion on Reddit, in which one of the company’s representatives answered a bunch of questions to satisfy the curiosity of some users. The discussion is pretty much a brief one since only a bunch of replies appeared in the board, but it seemed to be centered around the questions “Should we trust London Trust Media? Can they see all our traffic?“. A representative of the company (member of the support team and Linux administrator with access before the sysadmins were moved off-shore) came there and set things straight by stating that Private Internet Access doesn’t perform any kind of logging, even though they do have the means of doing so (a set of tools that would have to be initiated by the sysadmin team manually). Okay, we’ve heard that one too many times, no logging, we swear, we promise, but this time there’s an explanation, an inside scoop. Don’t you want to hear it (well, read it, actually)? Because we want to! The company rep mentions TCPDump, an example of a tool that can be used to intercept Internet traffic, but there’s a statement explaining why this is an unlikely scenario. 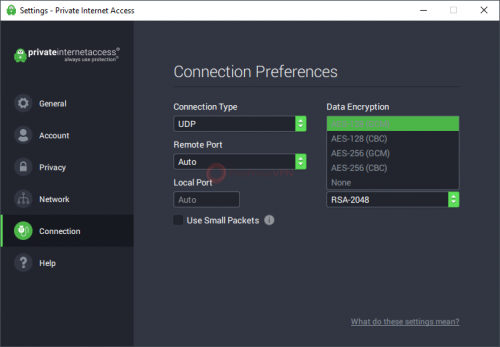 The tool puts the network adapter into “promiscuous” mode and copies all the network traffic to an output file or a CMD interface. Since VPNs support multiple user connections, there’s only one interface on the server that will display cleartext data. More so, it’s stated that by the time a piece of data reaches its destination, it will be stripped by all the data that could potentially identify you. Not satisfied with the explanation above, a user further pressed its inquiries and wanted to know whether or not PIA (Private Internet Access) could capture his or her credentials whenever he or she visits their banking website. The response was nothing short of elaborate. First of all, the banking website should use SSL, so, in this situation, the user’s TCP stream (the user traffic) would have to be captured. For this to happen, PIA would have to find out which server the user’s connected to, what IP address the user’s connected to and also getting approval from the primary sysadmin, who is also the partial owner of the company. The company rep states that your logins are not tracked past the count part (thus ensuring that you don’t bypass the maximum connections per username), so determining which server you’re connected to is next to impossible. Concerning the primary sysadmin part, the company rep states that he or she was requested to perform a partial sysadmin role, but was pulled from that due to his or her residence within the US. Tough security. The cherry on top is that, if the banking website is indeed using SSL, there’s no way that Private Internet Access or its employees could see into that encryption since the SSL doesn’t change as it transits the VPN. A few interesting remarks from an online publication highlights to us that Andrew Lee, the founder of Private Internet Access, stated that in the event of being forced to compromise their customers’ privacy, PIA would rather close down. However, he doesn’t believe that PIA may find itself in this position since other companies have already been forced into this position. To be more specific, we’re talking about Silent Circle and Lavabit and how that situation created a PR disaster that the government won’t likely risk triggering again. This, combined with the fact that Private Internet Access is “orders of magnitude larger than Lavabit and Silent Circle” is a reassuring thought. As if the information presented above wouldn’t suffice, you can see it on the list of Private Internet Access’ features on their website that they advocate for not keeping traffic logs, among other perks. It’s also stated by the company’s representative in the Reddit discussion that, since the amount of data they store is kept to a minimum, in the event of an official inquiry, they couldn’t share the data since it’s most likely that the data isn’t there, to begin with. There have been some cases where it’s been settled that they don’t collect any data that could be used to identify its customers. One of them is available online for you to read if you’re interested. Just access this link. Right from the start, they state that the privacy and security of their customers and visitors are of utmost importance. More so, you’re informed that personal data will be processed according to the GDPR (General Data Protection Regulation). Now from the website and email, they collect Google Analytics data, which is anonymized (you can opt out of that), internationalization data, the affiliate cookie mentioned above, info that’s included in the submission form on the “Contact Us” page and the email address of any messages that they receive. You should be aware that your account’s information will be stored indefinitely by the data controller unless you request that your personal information should be deleted. If you do request that your personal data should be deleted from the PIA servers, the information will be anonymized so that it won’t be associated with a specific user. Yeah, you probably wondered whether Private Internet Access is located in a 14 Eyes Alliance country. It’s actually located in a 5 Eyes country (UKUSA), which is kinda more unsettling since those countries were the first to sign the UKUSA Agreement. However, the company behind this project says they’re not concerned about it and neither should you. Despite the fact that various security agencies can demand access to user data or even gag the VPN provider to prevent transparency, Private Internet Access has designed their operations to prevent this sort of things from happening by not logging user data or other information that could help agencies identify a certain customer, regardless of the methods they use. On top of that, as stated above, they’d rather shut down their operations than compromise their customers’ privacy. There was a situation where Russia demanded that they (PIA) start logging their users’ identities for up to a year, after seizing their servers. PIA’s response was to shut down operations in Russia on the spot. 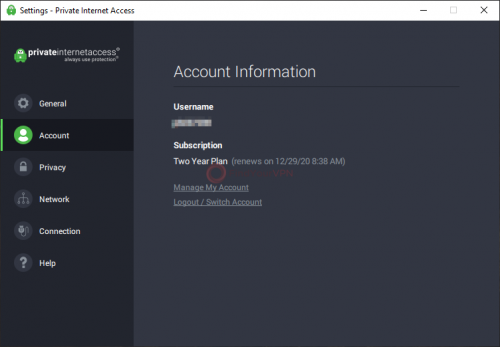 One step you must take before you can benefit from Private Internet Access’ features is signing up for an account, and purchase a subscription plan since it’s not possible to register for an account otherwise. Therefore, the first step would be clicking the large, not-so-subtle “JOIN NOW” button on their homepage, which will redirect you to a page where a bunch of subscription plans is presented to you, along with their benefits and discounts. The next step would be clicking the “SIGN UP NOW” button assigned to the plan you’ve set your eyes on. This will let you choose a payment method from a list. Depending on what you chose, you’ll be prompted to type in your payment information, which might include your email address, full name, card number, billing address, city, and country or just a combination of some of the elements described here. After the payment has been successfully processed, you can log into your account by accessing the “My Account” section on their website and typing the required credentials in the designated boxes. Once you’re in, you’ll be able to notice some account-related data such as the date when you’ve purchased the subscription plan, how many days are left until it renews, the payment method you’ve used to purchase it and the next billing date and amount. From the same location you can update your credit card details, upgrade your subscription plan (also special offers are displayed, if available), enable two-factor authentication, change your password and/or email address, generate username and passwords for using them with PPTP/L2TP/SOCKS, generate configuration files for OpenVPN, change the language you’ll receive emails in and cancel your subscription. Please note that canceling your subscription doesn’t delete your account, refund you or deny you access for the services you’ve paid for. Canceling your subscription only cancels the automatic payment that’s been specified above at the “next billing date and amount” section. You’ve probably noticed that after you’ve logged into your account and reached the dashboard, you’ll be able to access a new section called “Refer a friend” which enables you to recommend this product to friends or family members and receive free days of service. Accessing this section redirects you to a whole new page where you can type in the details of the contact you want to invite to use Private Internet Access (name and email, but the name is optional), check a box if you agree to the Terms and Conditions of the Family and Friends Referral Program and hit the “Send Invite” button. Alternatively, you can see a unique referral link that you can copy to clipboard or share it on various social media platforms and also view the total number of invites sent, how many rewards you’ve gathered and the number of free days you’ve acquired. You’re also told that, for privacy reasons, invites that are older than 30 days will be deleted. Retrieving the app to your device is an easy task since all you have to do in order to start the download process is navigate to the self-explanatory “Download” page on their website by using the toolbar at the top of the page and press the corresponding button, depending on your preferences. If you have a Windows computer, you simply need to choose between “Download 64-bit” and “Download 32-bit,” according to your operating system’s architecture. Some devices on this page only have 64-bit downloads (macOS and Linux), others are assigned Play Store or App Store pages (Android and iPhone/iPad), while extensions have a “Get Extension” button you can use within the browser of your choice (Chrome, Firefox, and Opera). It is possible to use Private Internet Access on ten different devices at the same time. On the same page, you can view additional data such as recent versions’ checksums and changelogs, the same info but for older versions and also OpenVPN configurations. Scrolling down lets you view the SHA-256 checksums for the latest stable versions so that you can compare them after downloading the app to your device if you have any doubt. Assuming you’ve downloaded the installer package on your Windows computer, double-click the executable and lay back, since the rest of the process unfolds right before your eyes, without requiring any kind of additional assistance on your side. 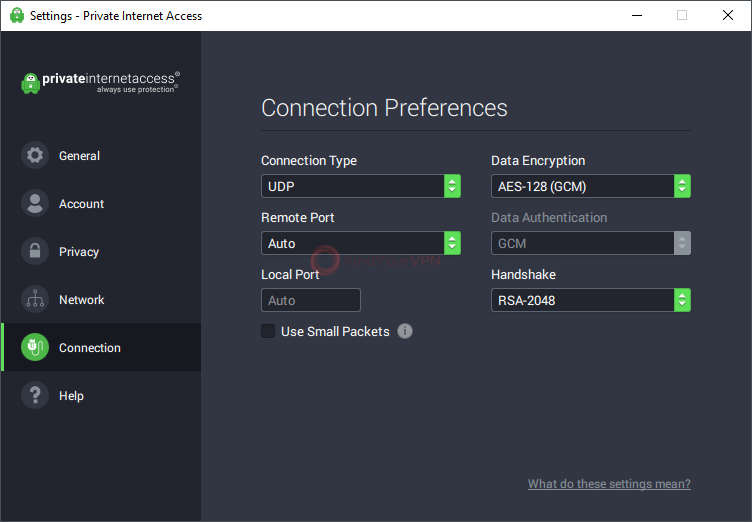 A detail we were pleasantly surprised in discovering was that, compared to other VPN applications, Private Internet Access didn’t request for permission to install the network TAP adapter. The process of installing a TAP adapter traditionally might put new users in distress, since they might not be familiar with the requirements for using a VPN service, but since PIA installs it for you, this is not an issue anymore. 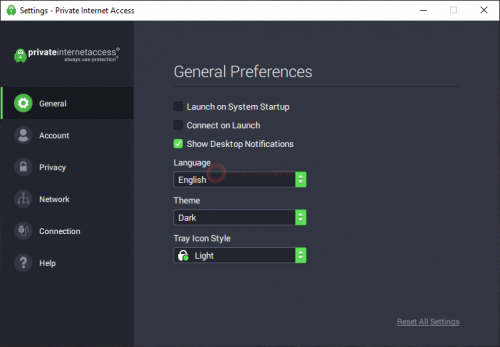 However, note that, depending on your UAC (User Access Control) settings, you might be asked for permissions to run the installer with elevated (administrator) rights. Select “Yes” to proceed with the setup. The version we’ve installed on our computer was 1.1.1. 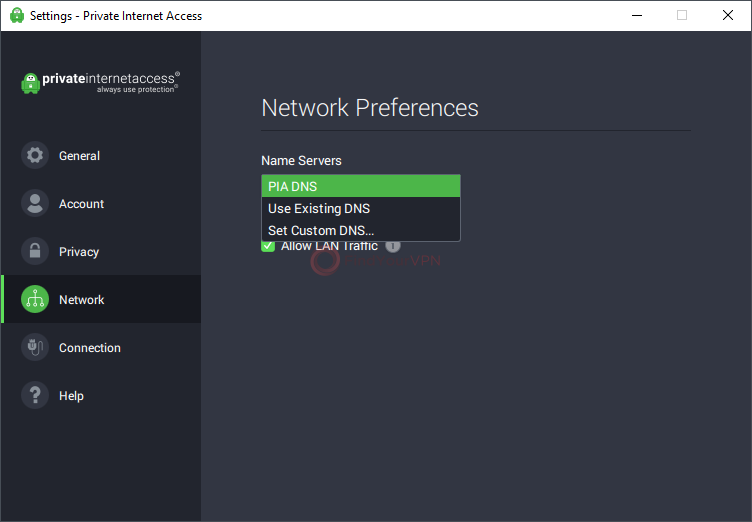 After you deploy Private Internet Access on your computer, it’ll be launched automatically, without needing any additional action on your side. You can’t change this since the installation process doesn’t provide you with any controls you can interact with, you just sit back and enjoy the setup (if you’re into that, we won’t judge). The main screen of the application features a couple of buttons and what we believe is the service’s mascot overlayed on an animated falling-star background. The buttons can be used to take a quick tour of the application and log into your account so that you can start using the service. The tour is actually a three-step guide that lets you pick your favorite theme (that’s the only interactive part of it), see a bunch of info on how you can customize your experience and some brief details regarding the type of devices this app can be installed on. PIA’s interface is a minimalistic, yet stylish one, with smooth edges, polished buttons, and neatly-organized content. When you first run the app, you’re presented with a rather large window, which prompts you to log into your account or take a quick tour, so you’d naturally think that this is how this app is going to look on your computer while you’ll be using it. However, once you get past the login, you’ll be pleased to notice that the app is usually hidden in the system tray and its main window is quite small (although you might want to toggle the advanced view, but we’ll get there). Once you get past the login, you’ll be facing the real main screen of the app, which consists of a large power button, a small map showing the selected server (along with the server’s description in writing), your IP address and that of the VPN server you selected, a small downward arrow button and the “More Options” or “Overflow” or “Hamburger” button or whatever you want to call it. It’s actually three dots on top of another – you click them and you’ll see additional options. This last menu we’ve mentioned enables you to access the “Settings” window, log out of your account or quit the application altogether, since closing the window minimizes the app to the system tray. As stated above, you can extend the main window into an advanced version of itself by clicking the small arrow button at the bottom of the window. Aside from the default stuff you could find on the main screen, there are some additional controls you can toy with. For instance, you have a “QUICK CONNECT” section along with the flags of certain countries. Clicking any of the flags instantly connects you to a server located in the country the flag belongs to. 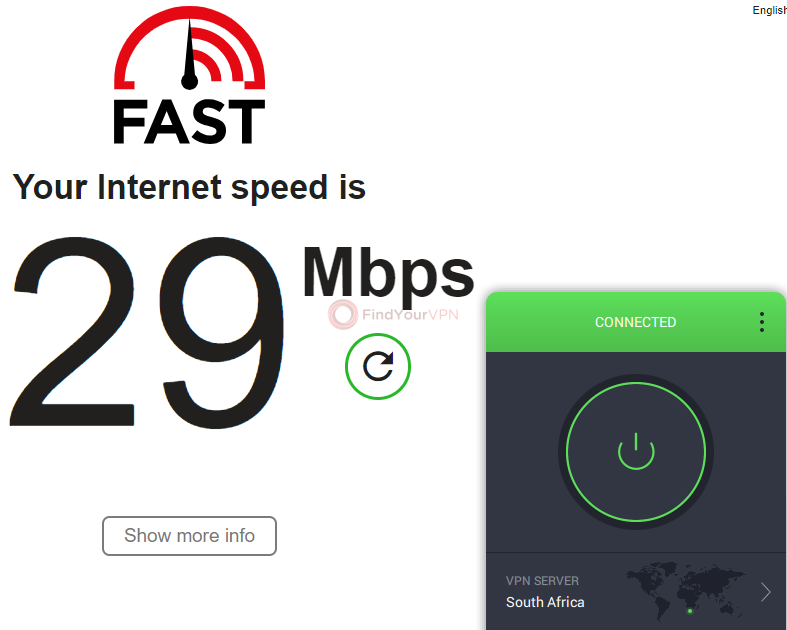 The “PERFORMANCE” section enables you to view connection-related parameters such as the download or upload speed values. The “USAGE” category contains download and upload data (traffic in Mbs). In the same advanced view, you can quickly toggle some settings on or off and see your current subscription plan. However, there’s also a cool thing that you can do here. You see those bookmark icons at the right of each section and notice how some of them are gray/dark and others are green? Well, clicking them toggles their visibility in the main screen, the “simple” view of the main window. 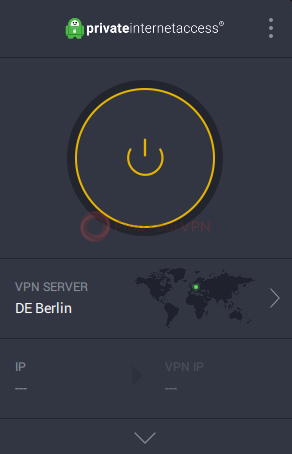 So, for instance, if you don’t want to see your and the server’s IP address, you can toggle it off, or if you want to have access to the “QUICK SETTINGS” section, just click the bookmark button and you’re set! As stated above, click the “More Options” button and select “Settings” from the menu. You’ll notice that an independent window suddenly appears on your screen. Within it, you can see that there are several categories that organize the settings you can interact with. The categories are “General,” “Account,” “Privacy,” “Network,” “Connection” and “Help.” Their names are quite intuitive so that even novices can understand what they’re there for and even explore their contents if they want. The “General” section lets you set the app to launch upon system startup, enable it to connect on launch, show or hide desktop notifications, choose your language, pick a theme between dark and light and select a tray icon style. Pretty extensive for a “General” section. 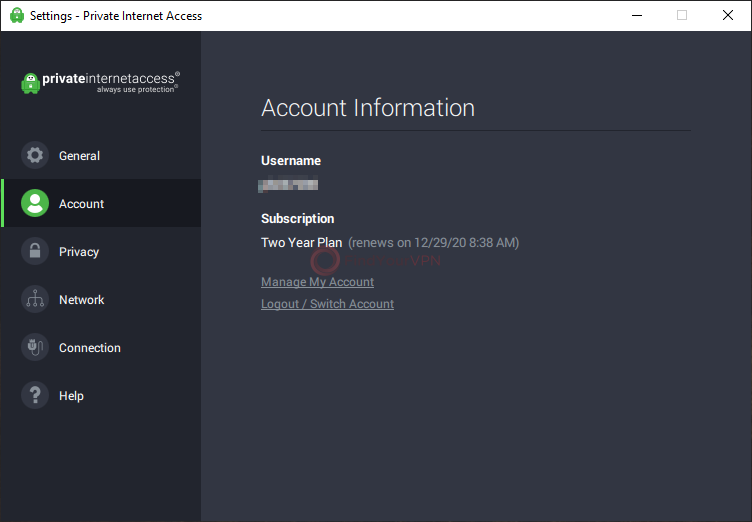 As you’d expect, the “Account” category lets you see your username and subscription plan details, but also offers you shortcuts to your account page on the PIA website and enables you to log out of your account. 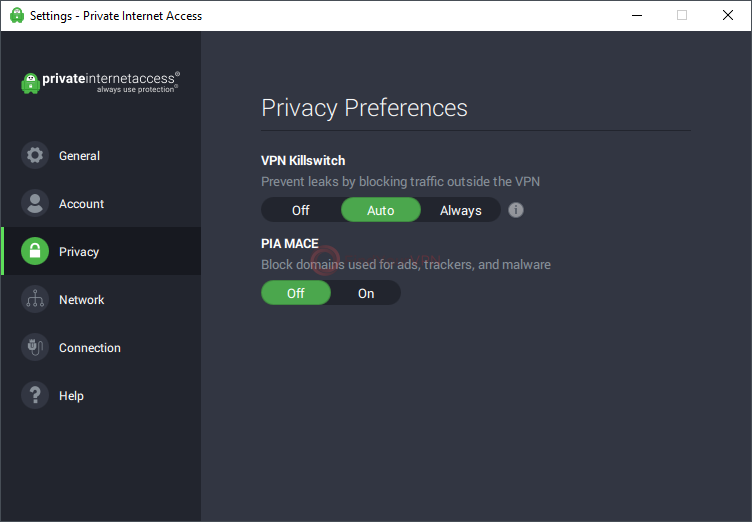 From the “Privacy” section you can set the VPN killswitch to “Off,” “Auto” and “Always.” Personally, I’d set it to “Always” but do as you please. There’s also a PIA MACE option there that lets you block domains used for ads, trackers and malware, which is set to “Off” by default, but you can activate it if you want to. In the “Network” section you’ll be able to find a “Name Servers” menu that lets you switch between PIA DNS, the existing DNS and a custom DNS that you can configure manually. You can also enable the “Request Port Forwarding” and “Allow LAN Traffic” options from the same menu. The “Connection” category is probably the one with the most possibilities regarding service customization. 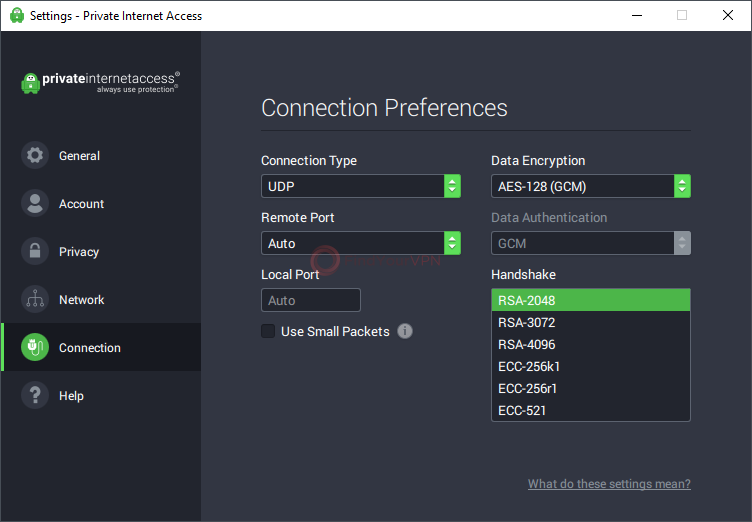 It’s possible to change the default connection type, data encryption algorithm, data authentication mode, remote port, local port, and the handshake. Plus, you can enable the app to use small packets. If you’re confused about what these settings can be used for, you can click the “What do these settings mean?” hyperlink. 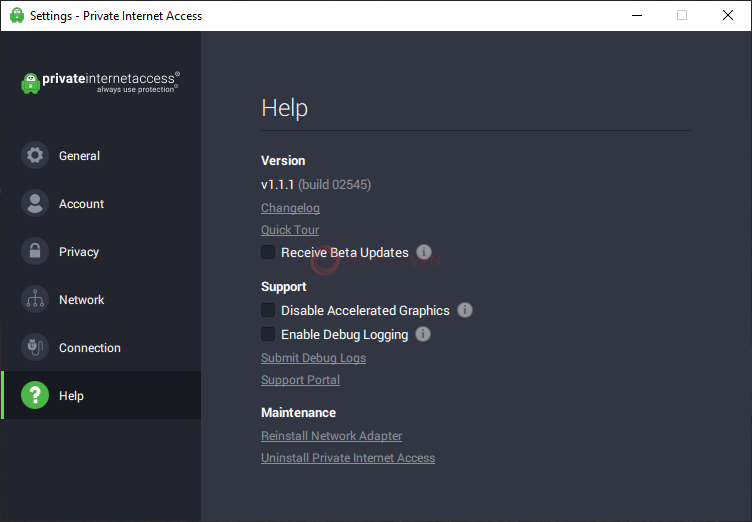 Last, but not least, the “Help” section is the place where you can see the app’s version, access the changelog, take the quick tour, enable beta updates, toggle debug logging and disable accelerated graphics if your computer is sluggish. 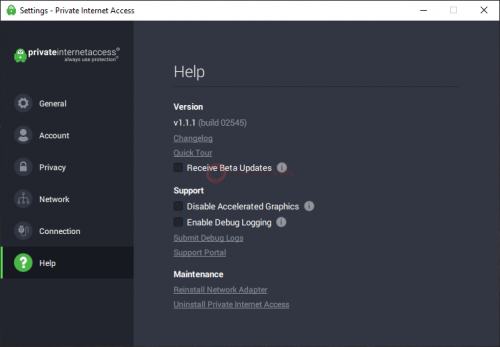 More so, you can submit debug logs that were generated by the “Debug Logging” feature mentioned above, access the support portal, reinstall the network adapter and uninstall Private Internet Access from your computer on the spot. 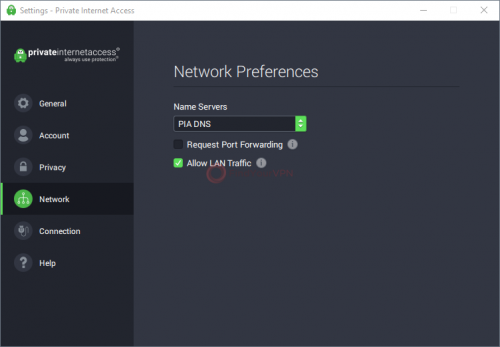 As the website states, Private Internet Access is using bare-metal servers, keeping security and performance at optimal levels. A bare-metal server describes a computer server that’s actually a single-tenant physical server. You shouldn’t confuse the single-tenant term with the single-user one. A bare-metal server can have multiple users connected to it at the same time or carry out several tasks, but it’s dedicated to a single customer, the one who’s renting it. Unlike other data center servers, bare-metal servers are not shared between multiple customers. More so, they are physical entities, as opposed to being virtual servers running on shared hardware. We’re reaching the more interesting part of this service, namely the services it can unlock. If you were not aware, nowadays there are several services that are not entirely available to the wide public, while some of them are completely banned in certain countries. An example of such a service would be Netflix (one of the most popular ones), which has recently become available to a wider public than just the US. However, non-US customers pay the same amount of money for a monthly subscription to this service and the content they receive is not the same as the US residents, as some of it is only available for US customers. Yeah, we know, unfair. 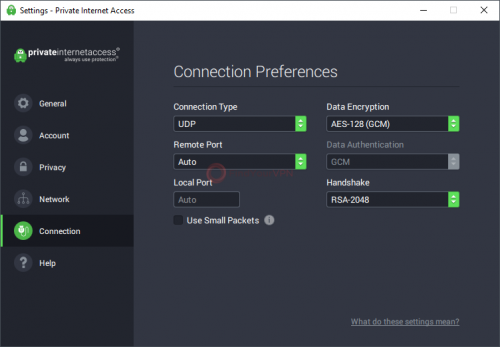 However, it seems that Private Internet Access is capable of unlocking Netflix for you. For now, at least. Keep in mind that Netflix waged war on VPN users and is constantly banning detected VPN IP addresses from accessing their service, so this might not go on forever. For now, Netflix is the only service that we successfully unlocked with PIA. With others, such as Hulu, Amazon Prime Video or BBC iPlayer, it’s kind of a luck thing, meaning that you can sometimes get lucky and succeed, while other times you just hit a brick wall. First of all, it’s allowed, so we got that out of the way. We’ve fired up a torrent client on our computer and attempted to download a file. We encountered no issues in retrieving the file and, more so, we could also seed it to other users, so there’s no issue there. 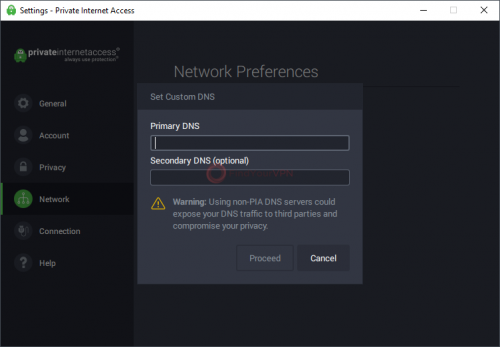 You can also use TOR with the Private Internet Access VPN, but you must make sure to connect to the PIA service first and then run the TOR browser afterward. Just note that although merging the two technologies can bring you an extra layer of security, the drawback is that your connection can become slow. Really slow. Another thing you need to take into consideration is that you get no protection from malicious TOR exit nodes (traffic entering and leaving TOR nodes is unencrypted and could be monitored) and that TOR exit nodes are also often blocked. For the moment, there’s no native TOR support through an OpenVPN configuration file. As you’re probably used to by now, we’re going to run some tests in order to decide whether Private Internet Access really does provide you with private Internet access or it’s just a marketing sham. In order to assess that, we need to run some tests on how well it handles its security and whether the speed is satisfactory or not. Notice how we’ve mentioned security first? Well, the order of importance is exactly this one, since we believe that speed doesn’t matter at all if security is not handled accordingly. The security tests will be run on the IPX platform and the results will be posted here, so that you can compare them to yours (we encourage you to take the same tests and post the results) and the speed tests will be handled by Netflix’s fast.com service, since we believe it yields results that are more accurate to our cause than the traditional Ookla Speedtest. As promised, we didn’t skip a beat and brought you the results of our security tests. For those of you who don’t like waiting, you can view the results of our tests by accessing this link. Now, for the more patient of you who also enjoy a (hopefully) good read, we’ll run them down right away. 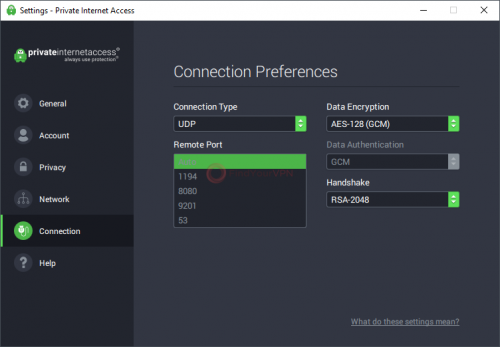 First thing first, the IP address, PTR, country, city, latitude, and longitude parameters were successfully spoofed so that they display information that’s related to the server we’ve connected to. The ASN, ISP, domain name and IP type were also changed as to prevent others from identifying our real identity or pinpoint our location on a map. As expected, IPv6 geolocation information was not available at all and the DNS pointed to a server in Germany (the server location we chose as our destination). WebRTC data displayed our local IP address in the Private (IPv4) section (as it should) and the server’s external address in the Public (IPv4) field. Things are looking good so far. Among the information that was not spoofed, you can notice some data related to the browser, such as the browser’s user agent and version, but also operating system info, battery details, languages available on the system, screen resolution, and timezone. The timezone and languages can probably be used to figure out the original country from which users connect to the PIA servers, but it’s not enough data to actually identify someone, so you shouldn’t be concerned about that. Now that we’re done testing for flaws and leaks, we can start focusing on speed values. Ideally, VPN providers should be able to provide its customers with both secure and fast servers, especially since little to no providers offer their services for free. However, we’ll see exactly where Private Internet Access stands in this situation; it’s got good security, but does it also have lightning-fast servers? Let’s find out. 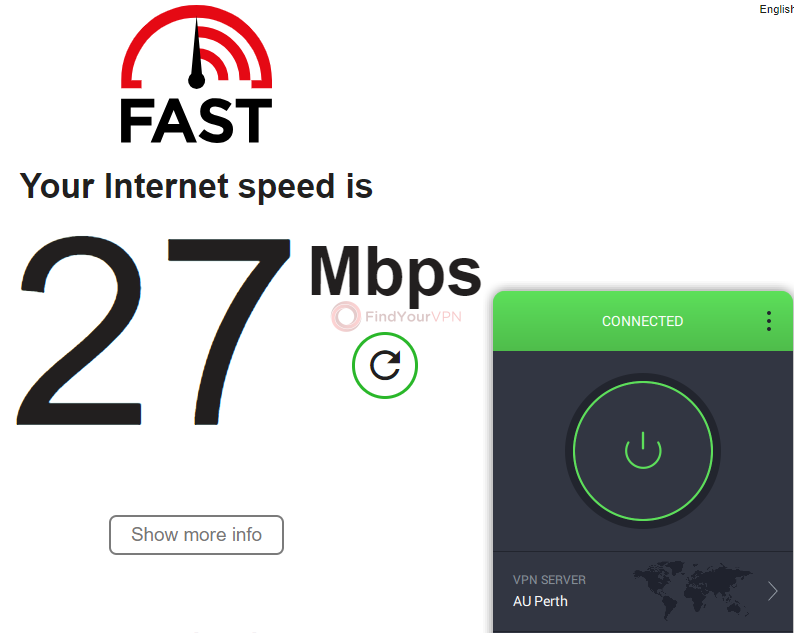 As you can see, the speed tests yielded great results and, more so, locations that are not exactly popular for their groundbreaking connection performances had generated outstanding speed values. Good job, PIA! If you’re one to spend countless hours chatting about various stuff, you’ll be disappointed to learn that Private Internet Access doesn’t provide you with live chat support. Instead, you can use the traditional ticket system and you’ll receive a reply via email. All you have to do is click the “Contact Us” button on their website (it’s at the bottom-right corner of the page), select the department you’re addressing the issue to, type your name, email, subject and question in the designated fields and select your operating system, connection type you’re using and VPN connection type (application, extension or OpenVPN client). I know, the list is kinda lengthy, but it’s for a greater cause: filtering your ticket and assigning it to the most suitable support crew member. I hope. We’ve received a reply in less than half an hour, which is not bad at all. The reply we received was a formal, professional, but also reassuring one, so go ahead and talk to them if you want to; they won’t make you feel like talking to cold-hearted robots. I know that there are some users among our readers who would prefer actually getting to try the services that they ultimately decide to pay for before actually putting their money on the table. Unfortunately, Private Internet Access doesn’t provide us with a trial version that we could use as a dealbreaker. 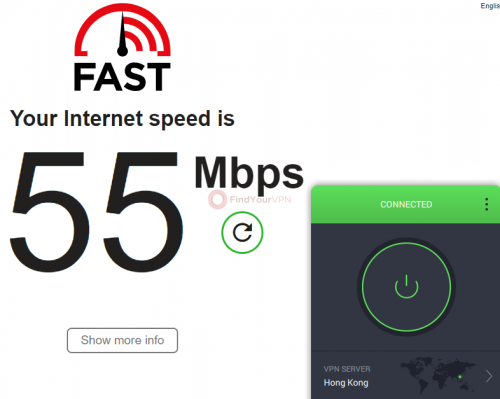 However, VPN trials are a rare thing nowadays, since there’s more than just one way to trick the trial systems and investing in such a project just so it can be outsmarted is just not gainful. On the bright side, they came up with a better solution, which is a 7-day money-back guarantee. How does it work? Well, you purchase a subscription plan, and you start using the service. If at any point, up until seven days, you decide that you and Private Internet Access aren’t exactly a match made in heaven, you can ask for a refund, and you’ll get your money back. Using this technique has a lesser chance to end with the company being scammed since freeloaders aren’t so eager to put down their credit card details and actually make a purchase just so that they can return the product and get their money back on it. Please note that refunds must be made in writing and it can be submitted by either using a form on their website or sending the request via email. Some VPN service providers have a long list of requirements that you have to meet in order to get your money back, but Private Internet Access only asks for the email address you’ve used to register for their services and the 7-digit order number from your payment confirmation email. As stated above, Private Internet Access doesn’t provide its users with a trial, let alone free unlimited access to their services, but before you start judging them, consider this: free VPN services don’t require money from you, but they’re getting their worth one way or another. One way is by bombarding you with pointless ads, possibly heavily-loaded with malware, while the other way is just selling your data to those who bid more money on it. Please note that the yearly and two-year plans are billed once every year, respectively once every two years. The discounts reflect a reduction based on the monthly plan. 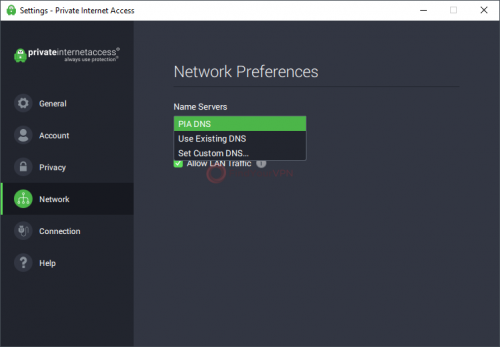 To draw the line, Private Internet Access is a VPN service provider based in the US that aims to provide you with a private, secure connection despite the turmoil that’s been haunting the online environment in the past years. Even though the country they’re located in is not only a member of the 14 Eyes Alliance, it’s actually one of the first ones to ever sign the UKUSA Agreement, they treat the privacy of their customers with the utmost importance and would rather shut down their operation than compromise their users’ data, as they previously did. They have a white hat program that challenges curious minds to test their systems and report any detected vulnerabilities in exchange for rewards. They’ve been involved in some courtroom cases which proved to the world that they don’t log any sensitive data from their users so that even if their servers would be seized, nothing of great importance would be found. Private Internet Access lets you deploy their application and use their services on up to 10 devices simultaneously. Their app is highly intuitive and features a wide range of controls, making it suitable for novices and professionals alike. During our security testing, we didn’t identify any leak or security breach that would lead to your online identity to be revealed. 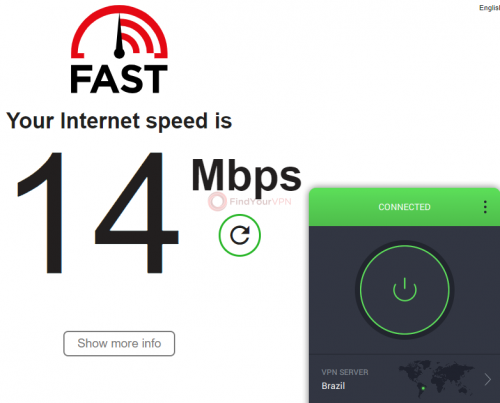 The speed their servers yielded during our speed tests was more than just satisfactory. PIA doesn’t offer a trial but comes with a 7-day money-back guarantee that doesn’t have too many requirements to make you eligible for a refund. Its monthly plan might seem a bit pricey, but if you’re in for the long run, you might want to purchase a bigger subscription plan, since the discounts are truly something to consider. Private Internet Access gets a 4.1/5 rating.